Unit Text:	"A" Coy. 2nd Bn. 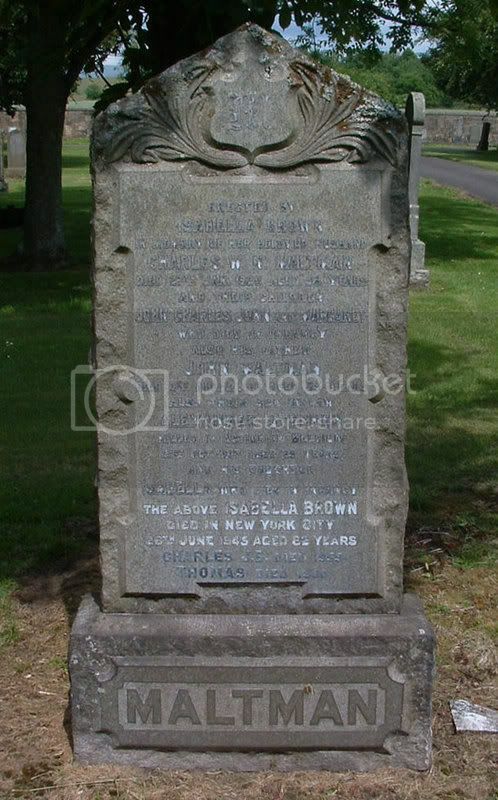 Additional information:	Son of Mr. and Mrs. William Sawers, of 75, North Woodside Rd., Glasgow. Grave/Memorial Reference:	I. B. 11. 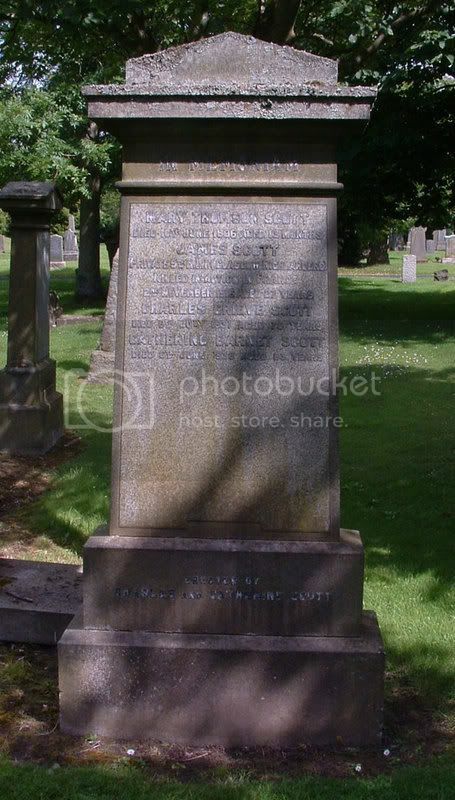 Unit Text:	9th (Glasgow Hdrs.) Bn. 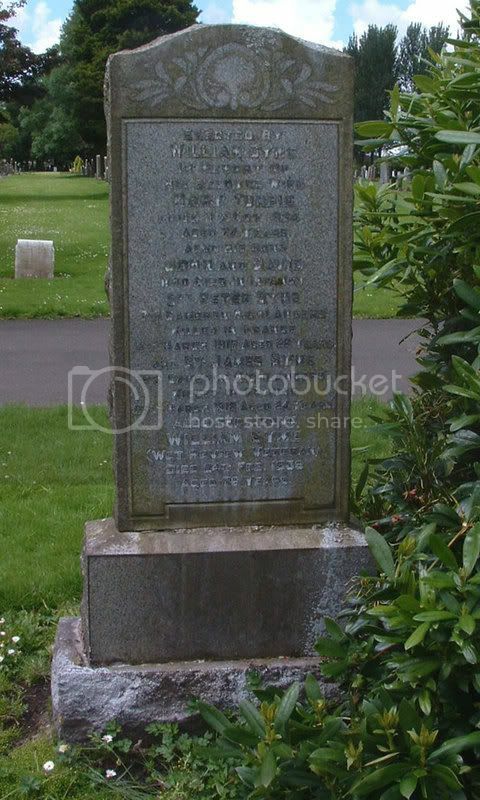 Additional information:	Son of Charles Greive and Catherine Barnet Thomson Scott, of 223, West Princes St., Glasgow. Unit Text:	"A" Coy. 8th Bn. Additional information:	Son of Thomas and Margaret Home Mackay Sheriff (nee Ramsay), of 80, Edgefauld Rd., Springburn, Glasgow. Grave/Memorial Reference:	I. A. 12. 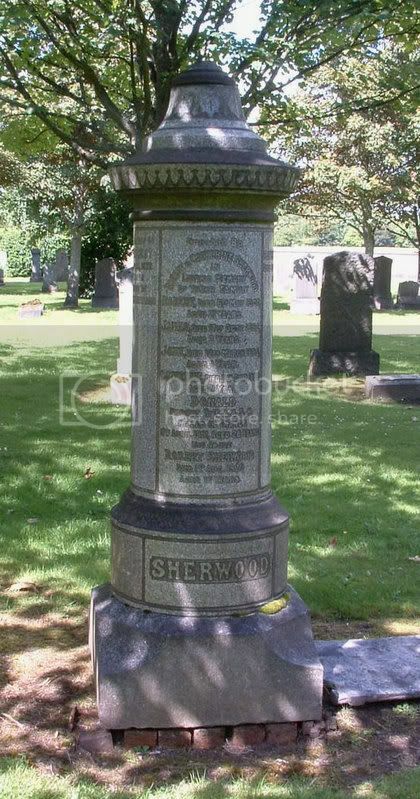 Additional information:	Son of Robert and Catherine Sherwood, of 771, Dumbarton Rd., Partick West, Glasgow. Grave/Memorial Reference:	IV. F. 43. 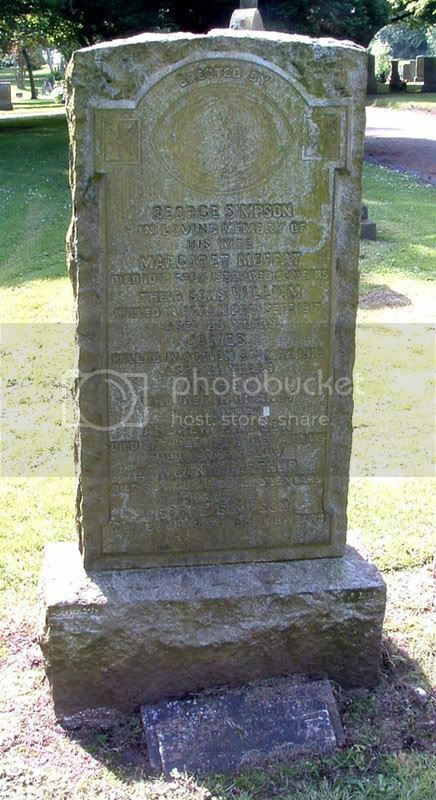 Additional information:	Son of George and Margaret Simpson (nee Moffat), of 58, Douglas St., Glasgow. 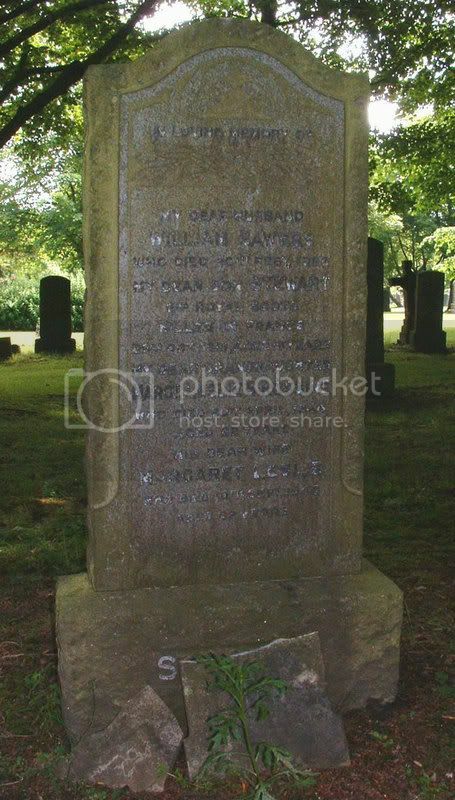 Grave/Memorial Reference:	Panel 11 to 14 and 162. 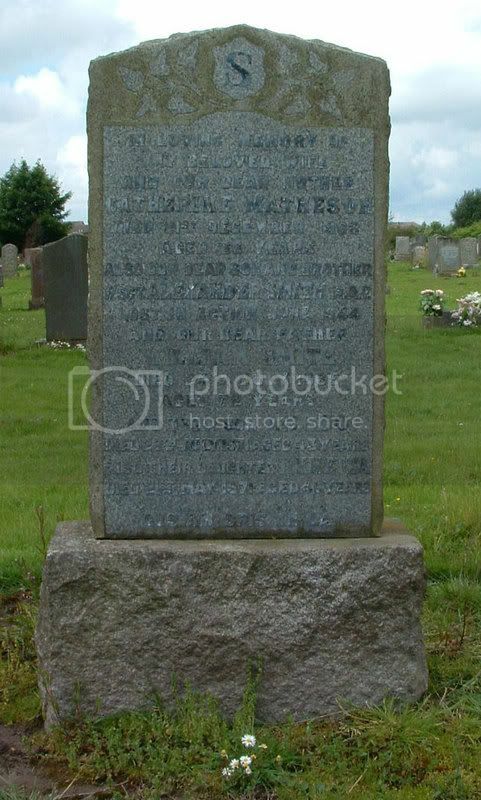 Grave/Memorial Reference:	Panel 68 to 70 and 162 and 162A. 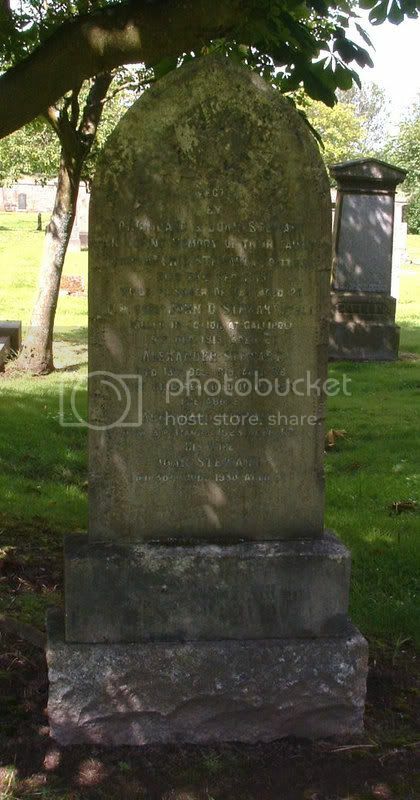 Additional information:	Son of William and Catherine Smith (nee Matheson), of Scotstoun, Glasgow. Grave/Memorial Reference:	XIX. E. I. Listed on CWGC as SPIERS rather than SPEIRS. 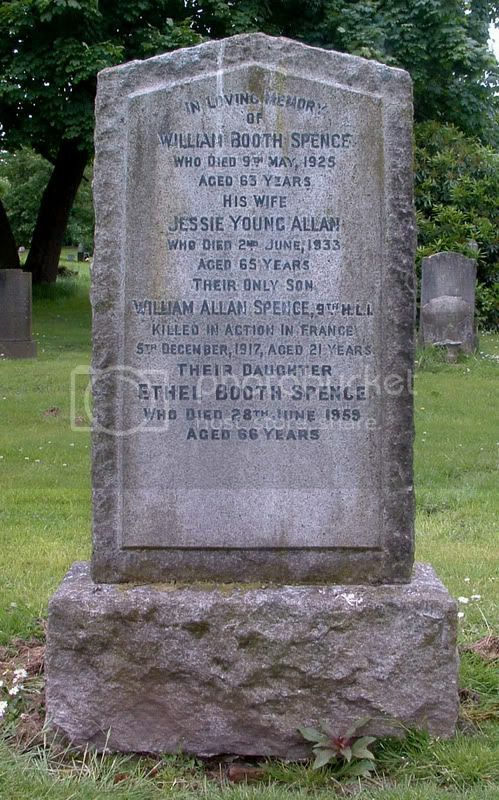 Additional information:	Son of William Booth and Jessie Young Spence (nee Allan), of 51, Exeter Drive, Partick, Glasgow. Grave/Memorial Reference:	II. A. 24. Grave/Memorial Reference:	Panel 154 to 159 and 163A. Son-in-law of Charles W. N. and Isabella Maltman (nee Brown). 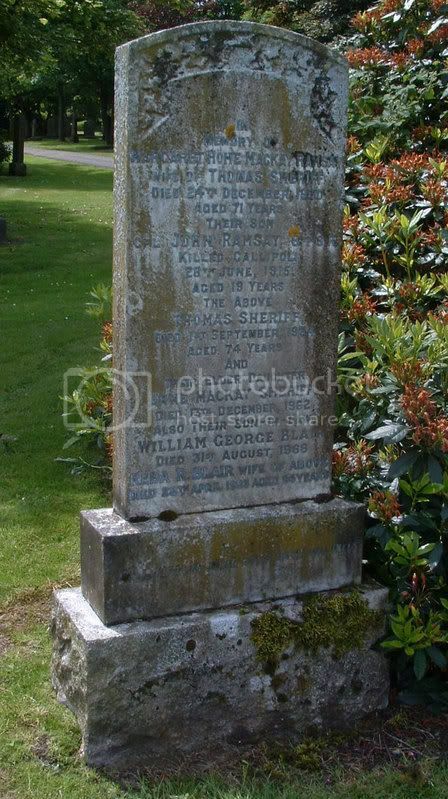 Date of death on stone 21/10/1917. 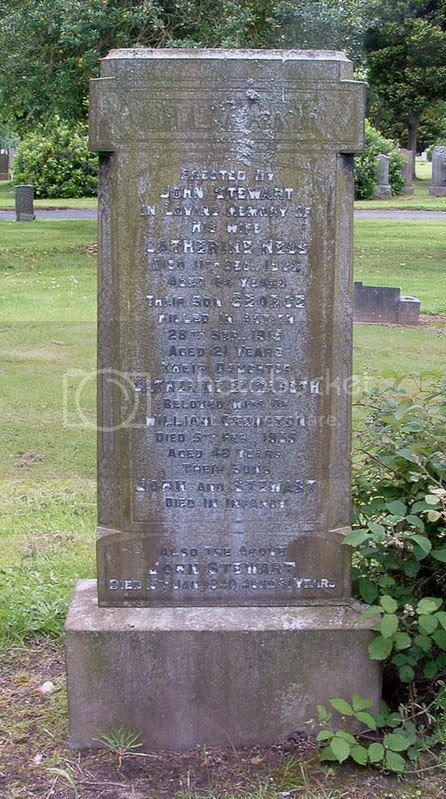 Additional information:	Son of the late John and Catharine Stewart (nee Galbraith), of Partick; husband of Margaret Herd Stewart, of 29, Merkland St., Partick, Glasgow. Grave/Memorial Reference:	W. of the mortuary or on the S. bdry. W. of gate. Unit Text:	"A" Coy. 6th Bn. 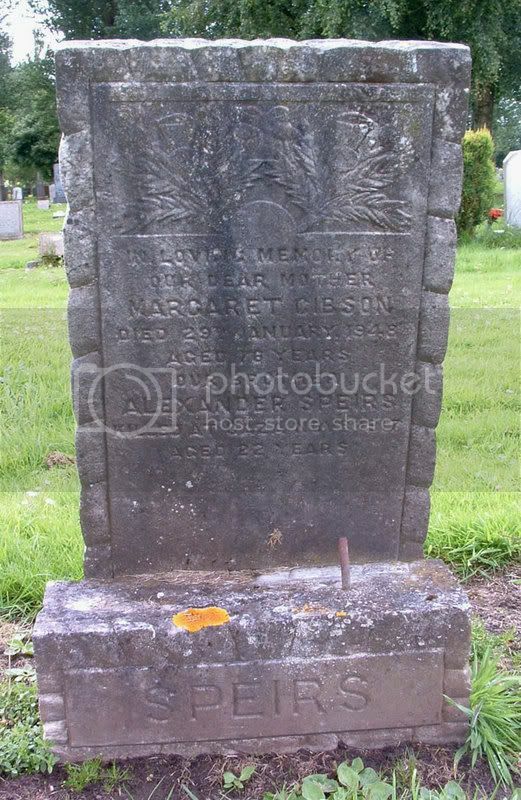 Additional information:	Husband of Margaret Little (nee Stewart), of 735, Dumbarton Road, Partick, Glasgow. Native of Glasgow. Grave/Memorial Reference:	II. D. 8. Unit Text:	"B" Bty. 96th Bde. Additional Information:	Son of Archibald and Joan Stewart. Grave/Memorial Reference:	Panel 19 and 33. Grave/Memorial Reference:	Sp. Mem. 97. 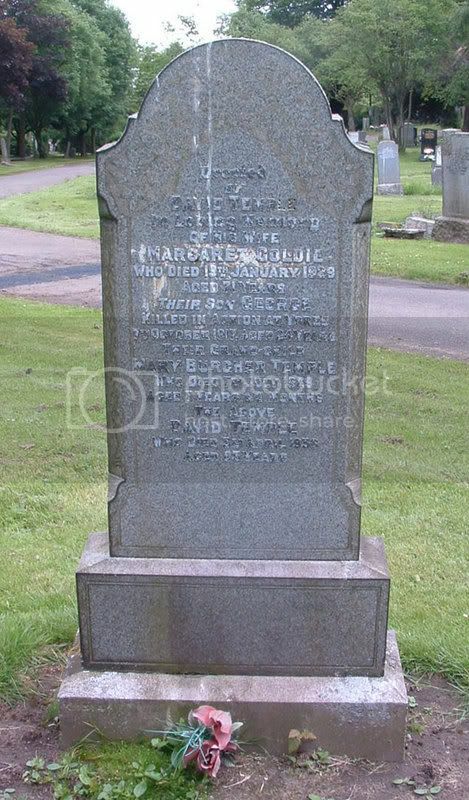 Additional information:	Son of William and Mary Syme (nee Turpie), of 31, North Avenue Rd., Springburn, Glasgow. Born at Dundee. Grave/Memorial Reference:	II. H. 16. Unit Text:	"B" Coy. 6th Bn. 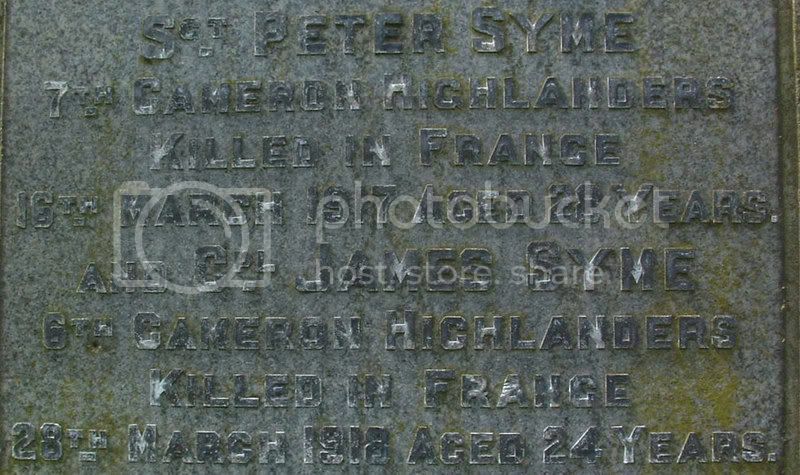 Additional information:	Son of William and Mary Syme (nee Turpie), of 31, Campsie St., Springburn, Glasgow. 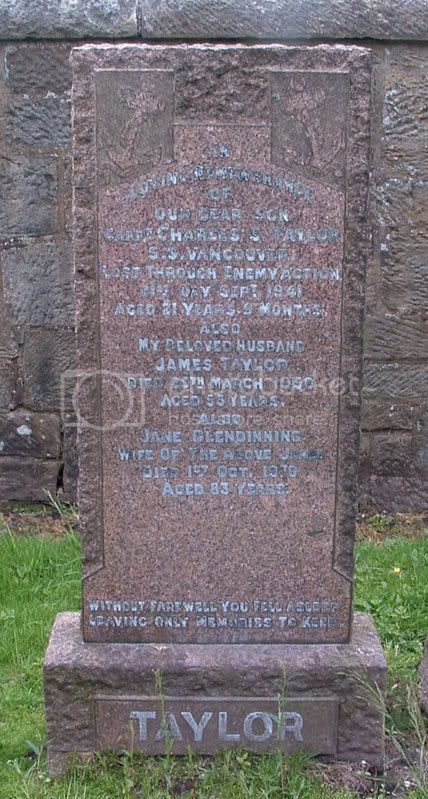 Additional information:	Son of James Taylor, and of Jane Taylor (nee Glendinning), of Glasgow. Grave/Memorial Reference:	Panel 141 to 143 and 162.